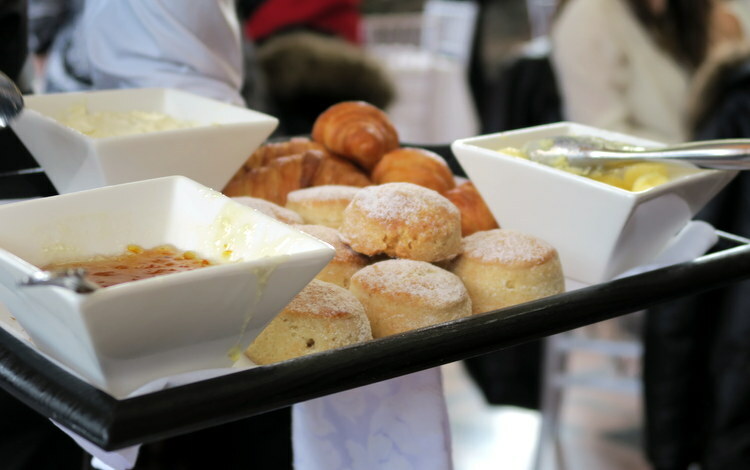 I love afternoon tea, so couldn’t pass up the chance to have tea at Casa Loma during Winterlicious! I enjoyed the , but have mixed feelings about the experience. We arrived 20 minutes early, so were able to get our pick of seats. We requested to be seated in the observatory. So pretty! Our server came around and told us our tea options, Oolong Cream, a black tea (when questioned what type, this was all I was told) and a Moroccan Mint. 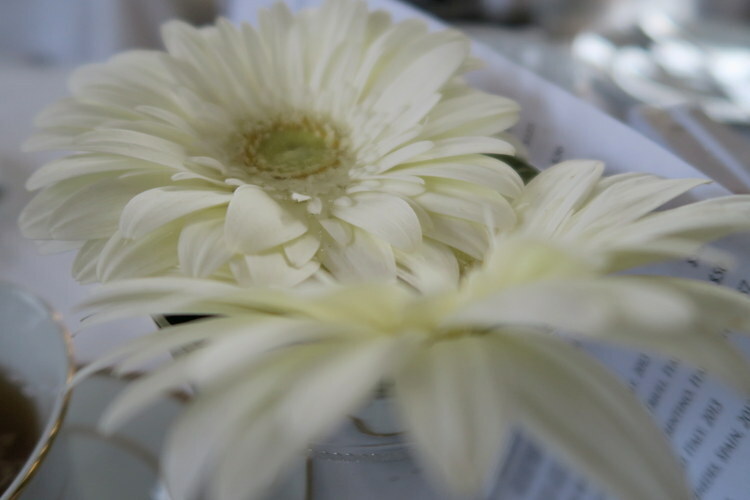 Tea was poured at the table directly into your cup- there weren’t any teapots at the table. 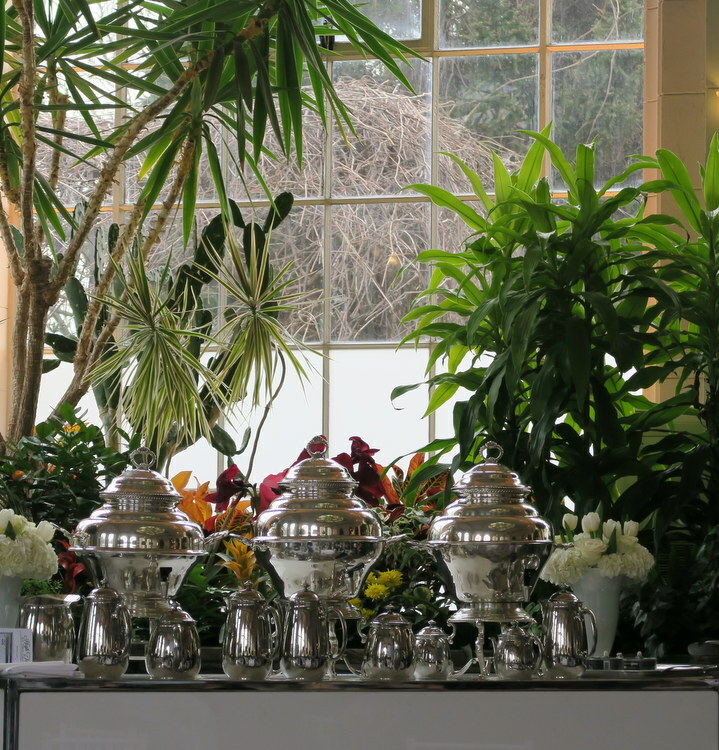 The servers would refill their tea pots from beautiful silver samovars. We were served a selection of finger sandwiches (the server looked put out when I asked her to tell us what were in them) first. 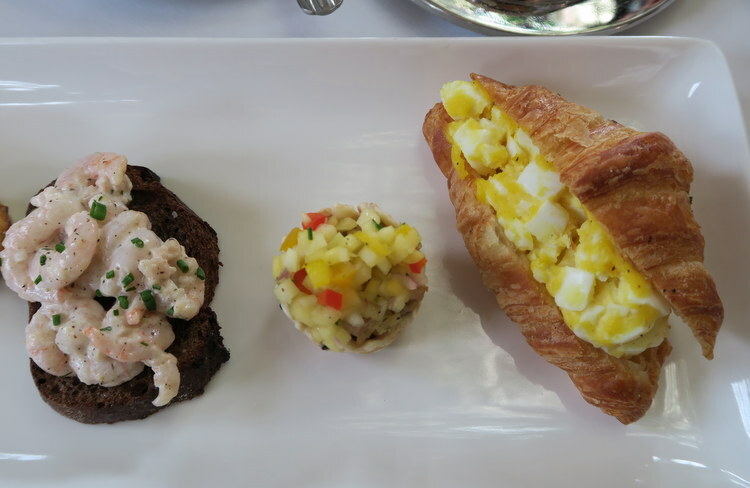 Pictured are a mini croissant with egg salad, curried cornish hen in a rice cup, shrimp on a crostini, leek and feta quiche and Yorkshire pudding. I liked how creative the sandwiches are. 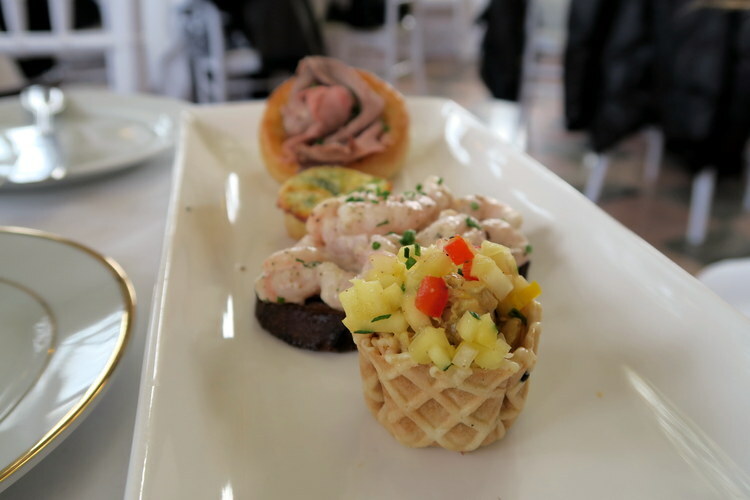 I particularly enjoyed with curried Cornish hen, and the quiche. What I didn’t like was how each table seemed to get slightly different sandwiches. Shortly after this, a waitress approached with dessert. I thought this was super weird, as we hadn’t had our scones yet. We were each allowed to pick out two desserts. I wish they had made the desserts in house, or had sourced them from a patisserie. They were okay, but nothing special. They also varied by luck of the draw. 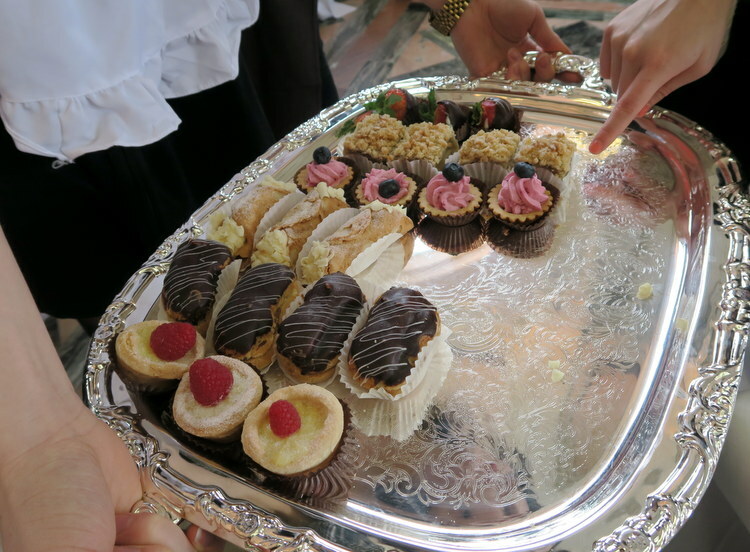 Some other trays had yummy looking chocolate squares. Alas, not mine. At this point I was anxiously looking around for scones and panicking that they may not have had any. I was wrong- they did have scones. They were served warm and were quite good cream scones. Spreads included butter, marmalade…and cream cheese, according to our server. My friend tried the cream cheese, but said that it definitely wasn’t cream cheese, but she wasn’t sure what it was. It was probably devonshire cream, and the waiter was misinformed. Sigh. This tea was okay, but if you are accustomed to afternoon tea, you may be taken aback. The lack of menu, basic tea choices, awkward service and no teapots at the table made this experience just okay for me. 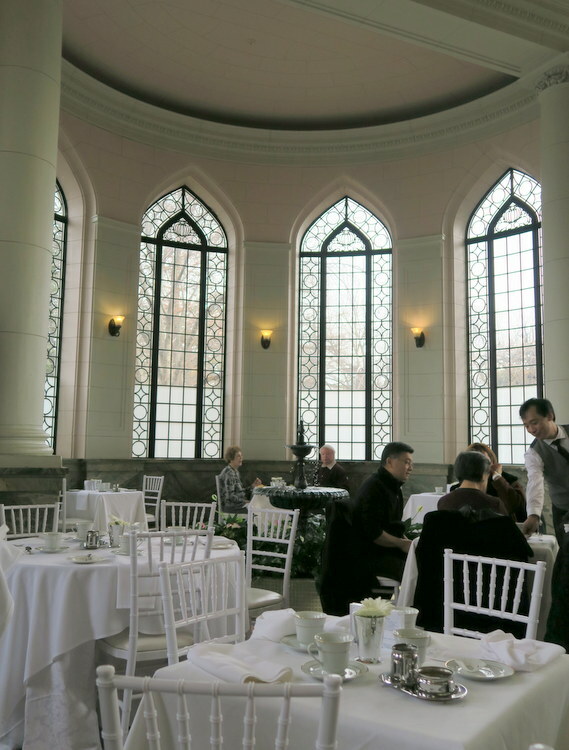 Being within Casa Loma itself was wonderful, and it was fun to explore afterwards. 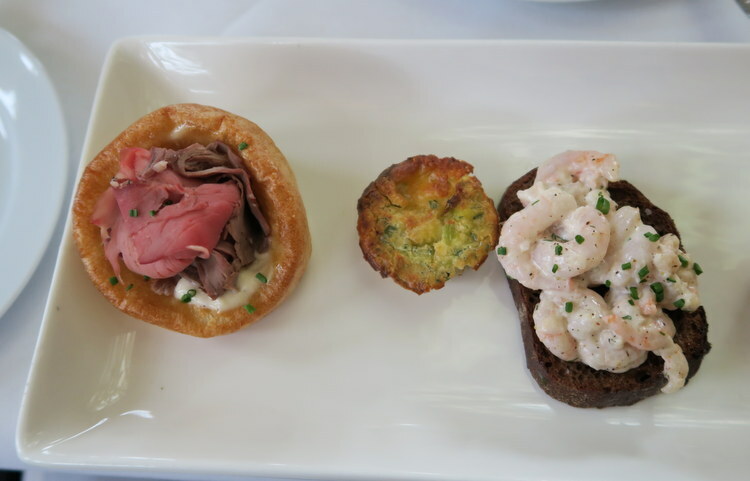 For awesome afternoon tea experiences, check out my reviews of MoRoCo Chocolat, Holts Cafe, or the Fairmont Royal York!